IF YOU ARE CONSIDERING A 4K/USB3 CONVERTER – You should read these 24 pieces of information about 4K capture. INOGENI designed, built and began to market our 4K to USB3 adapter in 2014. IN THE PAST 5 YEARS, our customer support department has had many questions about what works and what does not. Question: Do you know any compatible 4K camera? Sony A7S, Sony A7R, Panasonic GH4 but our customers have used many more successfully. INOGENI has a ‘borrow’ program through which you may borrow an INOGENI for testing. Just ask our support or sales department. Question: Does INOGENI support 4K PAL with Sony A7S? Answer: According to some Sony A7S models, PAL will not work. If you buy this camera in the US, PAL will not work. This camera is known to work fine using 4K in NTSC mode. Question: Can we capture 4K with avconv? Question: Is it possible to capture 4k on OS X? Answer: Yes, you can of course use your Mac to capture 4K with QuickTime//ffmpeg because the 4:2:0 format is now supported under OSX. You can also use ProRes. Question: I have a 4K2USB3 and it works great on the Intel USB3 controller, but when I plug it into the ASMedia USB3.1 controller on my computer, it won’t work, or even show that it’s connected. I checked the firmware and it’s updated to the latest version on the USB controller and on the INOGENI. Is there other testing that I can do? Is there a known problem with ASMedia controllers? Answer: The INOGENI has been tested with a USB 3.1 controller and we had no issues. Be sure to use the latest USB and chipset drivers for your system. As of this writing there are only ASMedia and ASUS USB 3.1 chipsets. This customer had the chipset ASMedia 1141 and we only tested ASMedia 1142. It seems there are some chip revisions on ASMedia website. Question: I am trying to capture the output of a Swisscom TV Box (https://www.swisscom.ch/en/residential/help/device/swisscom-tv/swisscom-tv-uhd-20.html or https://www.swisscom.ch/en/residential/help/device/swisscom-tv/swisscom-tv-box-20.html. I do not get any picture neither with the INOGENI Simple Viewer (2.1.0) nor with the VLC or other UVC player. How I can get the video stream onto my PC? What am I doing wrong? Question: A colleague tried using this for an important meeting. It worked fine until the start of the event. Then, the screen went green. Tried to restart etc. No good. Can you assist? I’ve bought a bunch of these and can’t have this happen. Answer: The green screen means the HDMI input is not detected. Have you tried to unplug the HDMI cable and plug it back in? Have you tried another HDMI source? We could also do some debugging remotely if the manipulations above are not solving the issue. Customer: Thanks for getting back. He tried all of those- I told him how stable INOGENI’s are. It turns out, the HDMI connector in his camera happened to go bad right when the lecture began. Question: We have an INOGENI HDMI to USB 3.0 box. One of the uses for this is for video conferencing from a camera to a laptop, running Skype for Business. We take HDMI out from a SONY camera (shooting at 1920 x 1080, 24p) to the box, to the USB 3.0 cable to a laptop. The laptop only has USB 2.0 ports, but we see that the box is USB 2.0 backward compatible. We have, on a number of occasions, had a green screen video signal. We have overcome this on most occasions by plugging and unplugging the HDMI or USB cables, turning on and off the camera, rebooting the computer, but it seems plugging and unplugging the cables usually gets us to finally see the video signal properly from the camera. How can we get a consistently working video signal? What do you recommend? 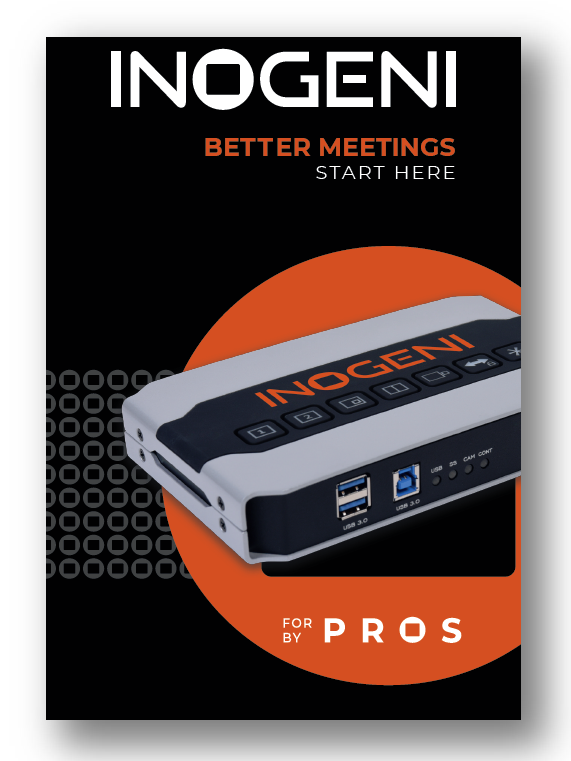 Answer: Make sure you are using the latest INOGENI firmware available on our website. Question: How to start a gstreamer pipeline? Question: I am trying to use “INOGENI 4K HDMI to USB 3.0 Converter” to capture the desktop image on MacOS, but every captured image has a Letter Box. It’s very ugly. So I want to know how to avoid the Letter Box. Answer: First of all, make sure that the input format of your video source matches the one on the USB side, which is on the Mac. Second, make sure to disable the underscan/overscan setting on your graphic card, which is on the Windows side. This setting seems to be the cause of this letterbox. Question: What is the overall delay of your device? A larger delay is introduced by the UVC driver of the operating system. In 1080p60 -> 1080p60, we can have a minimum of 66ms delay between the HDMI input and the rendered stream. In 4K30 -> 4K30 I420, we can have a minimum of 133ms delay between the HDMI input and the rendered stream. In order to reduce this latency, be sure to use the simplest application with the simplest video graph. Answer: I suppose that your microphone level is at 100%. You can check by doing a right click on your volume icon at the bottom right corner and select Recording devices, choosing the Recording tab, right click on the INOGENI device and select Properties. In the Level tab, you can change the level to an optimal one in order to cancel the noise. Attached is a custom firmware that you can use with the INOGENI Control App. It will change your audio device to a standard “Digital audio interface” instead of a microphone. Input level will be acceptable even at 100%. This digital audio interface will be added to the next official firmware release. Question: I have INOGENI 4K2USB3 firmware version 4.21 running under Windows 8.1 64-bit, connected via USB3 using VLC 2.2.0. When I click the Record button, it creates an AVI on my Samsung 850 EVO SSD. When I play back the AVI, there’s no sound. What should I be doing differently? Answer: Media >> Open capture device. 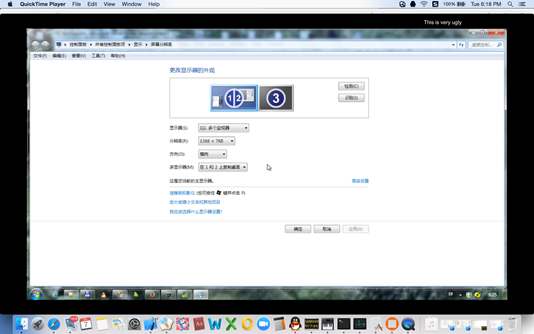 Select Video & audio device name and select a format in the video size, like 1920×1080. Click on the Arrow of the Play button and select Convert. There, by default, you can select encoding scheme and audio data rate. By default, it will encode using H.264 & MP3. You can verify if it is working by choosing a destination file and by hitting Start. REPLY:Tried it. No go. Clicked on the “edit selected profile” of Convert. Shows “This muxer is missing. Using the selected profile will fail.” Web search seems to indicate bug of the VLC Windows build. No newer version currently available. You could also use ffmpeg, which is in my opinion, the best recording framework. Question: I’m using your 4K2USB3 product with a Sony A7S camera set to 4K. The product is working fine, but the camera needs to be mounted upside down (in a helicopter) and I’m wondering if it is possible to rotate the video frames using the 4K2USB3 device. Answer: This feature was not programmed into the INOGENI. Because few people want this, it may be custom programmed for a fee. Please contact our support department. Answer: You can capture 4K under OSX without problems. This MacBook Air has sufficient hardware to capture 1080p and 4K. Question: Your product looks really good. I am travelling a lot and carry around two notebooks so I though maybe I could use the second one as an external monitor for the first one. I don’t use them simultaneously anyway. My question is do you know if it is possible? Have you tried using it in this way? My main concern is would such display be detected by the operating system. I have attached a small diagram just to make things more clear. Answer: Yes, this setup will work fine with the INOGENI. The Laptop 1 will see the INOGENI as another monitor. Question: I’m assuming that the HDMI indicator still lights on an all-black image (we’re trying to debug some potential HDCP issues). 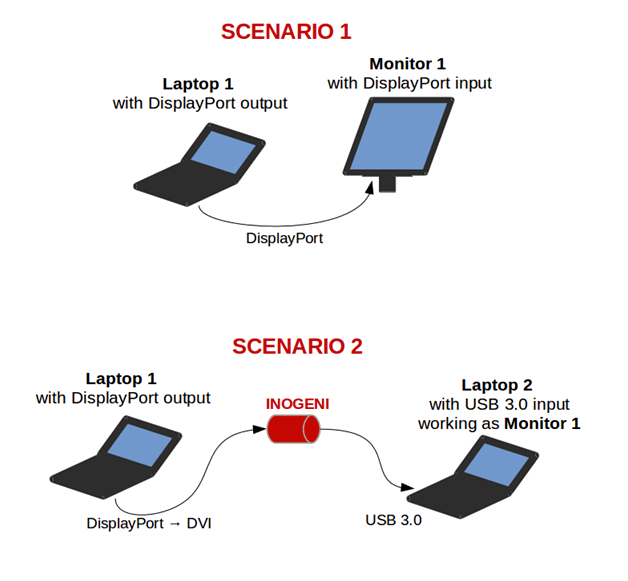 INOGENI: The red led on the HDMI side indicates if a valid HDMI signal is detected. The one on the USB side indicates if there is power. The led will blink if there are USB commands received from the host. Answer: The red led on the HDMI side indicates if a valid HDMI signal is detected even if the content is HDCP-compliant. Question: I have an INOGENI getting a 4k feed from my camera (before the INOGENI I’ve got a splitter going to a 4k monitor so I can be sure the camera is providing 4k resolution). Using VLC player I can see the video feed but have no idea if I’m getting the full 4k there or not….my computer monitor is not 4k. I also have a VisualStudio project I inherited that uses directshow to get the video and display it to a window. In that code there is a call to GetConnectedMediaType(&mt). Next the mt.pbformat member is cast to a VIDEOINFOHEADER type and called vih. The vih->bmiHeader.width and vih->bmiHeader.height are 1280 and 720 respectively….but I am expecting 3840 and 2160 as this is a 4k camera I’m connected to. My app displays the lower res data fine….its just that I don’t know how to get the full 4k resolution data (I will resize it before display but want to operate on the full resolution data). Answer: You can check our INOGENI Software Suite program and check on C:\Program Files (x86)\INOGENI\INOGENI Software Suite Installer folder to see the source code. You will then be able to debug the application using Visual Studio. Question: Is any software provided to do a basic data capture into a video format that can be used by Adobe Premiere CC? If not I assume Adobe Premiere needs to be installed on the system doing the capture and Adobe Premiere CC would be doing the data stream capture to a format of my choosing? What will the device look like to my Adobe Premiere CC … will appear like a Camera or something? Does the device include any “pass thru” capabilities so the signal can continue to a 4K monitor? Since the RGB 4:4:4 color space gets converted to 4:2:0 (NV12/YV12/I420) how much image quality is lost? Do you have any sample of source 4K vs. the capture 4K (4:2:0)? No worries on the hardware side, fast PC with fast SSDs. 1- Yes, you will be able to capture 3840×2160 @ 30Hz in RGB at the input. A colorspace conversion is done by the dongle in order to receive a 4:2:0 (NV12/YV12/I420) stream at the USB side. Note that the device is able to downscale any 4K resolution to any supported resolution. 2- Depending on your recording application, you can choose MPEG-1, MPEG-2, MPEG-4 and H264 in any encapsulation. 3- The saved data can be used with Adobe Premiere Pro. In order to record 4K video, the system used must be quite powerful. We recommend at least 4GB RAM, Intel Core i5 or equivalent/greater, a SATA3 SSD drive for video storage and a graphic card with its own memory. The video compression is done by the system, not the device. This is why you must have a very good system. Yes, can do this easily with ffmpeg, which is a free command-line application to record input streams. You can choose which encoder to use, bitrate, colorspace and so on. Adobe Premiere Pro doesn’t import video feed directly from the INOGENI. Adobe Premiere Pro only takes Firewire cameras, maybe in a future release USB device will be taken into account, but for now, you must import your stream by another application. The device doesn’t have a “pass thru” capability since it only has 1 HDMI connector. The 4:2:0 format is a chroma subsampling. YCbCr 4:2:0 indicates a planar YCbCr colorspace where a 2×2 block of pixels in an image is represented by 4 Y samples, 1 for each pixel, but all 4 pixels share a Cb sample and a Cr sample. Just to give you an idea about quality, bluray movies are encoded in the 4:2:0 scheme. Depending on your system performance, you can choose the compression level with the ffmpeg tool. 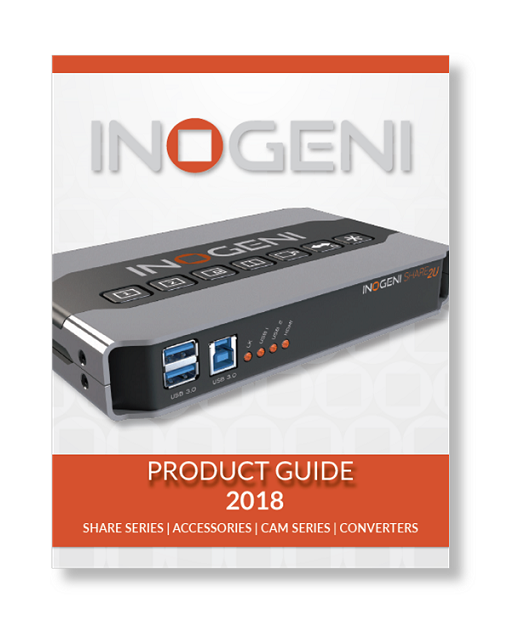 Question: I have been evaluating the INOGENI 4K2USB3. I noticed the list of supported modes for the INOGENI in the Windows Display Settings is quite extensive – I am guessing these are all the mandatory resolutions required per the HDMI 1.4a specification as well as a few extras (I noticed you use Analog’s ADV7619 HDMI Receiver for this). If the capture tool I am using does not have a resolution with the exact specifications the capture card is set at – say, 1920×1080 at 30 Hz set as the capture card resolution mode, and the capture tool set at 1920×1080 at 29 Hz – what kind of issues will I experience? Sometimes when I try to set up a capture in VLC I get an error dialogue box that says, “The mode is not supported” (paraphrasing here). Other times it works fine. Sometimes I just see a completely green screen in the capture. It doesn’t seem to work 100% of the time. Do you have any tips or tricks to get the capture to work properly every single time? Another comment on what seems to be a bug/issue – the LED at the HDMI connector sometimes does not illuminate when the source is connected. Are there any other applications I can use besides VLC that would allow me to evaluate its performance and functionality? What do you mean when you say apps like Cisco Jabber, YouTube, etc. are compatible with the card? Do you make available any detailed technical documentation besides the Quick Start Guide? It would be very helpful to obtain any such information. Answer: The INOGENIs have an integrated hardware video scaler and a frame rate converter so the device will scale the video and change the frame rate accordingly to what the user has selected. It’s up to the user to set up the program correctly. VLC is known to have some bugs. It is important to get the latest build if there is any. The red led should lit whenever there is an HDMI feed connected. If not, please contact our support team. You can check our Compatible software pages for tested applications. These applications are working with the INOGENI in recording, streaming and video-conferencing applications. Question: I am trying to capture video and audio into Camtasia by TechSmith (http://www.techsmith.com). My camera has an HDMI out that feeds live audio and video. I need to convert the signal into an USB connector on the computer. Will your device allow my camera to be recognized as a video/audio source in Camtasia. I use a MAC. Answer: Yes, the INOGENI will do exactly what you want. Question: This contribution may seem trivial, but I think it would be interesting to add a new Knowledge Base article under the GStreamer section with an example of how to get an audio/video preview using a gst-launch pipeline. (pavucontrol), go to the Recording tab, locate the gst-launch app in the list of running audio recording clients, and choose the INOGENI device manually as the recording device. Answer: This is the correct approach to use with gstreamer. I have a 12.9″ iPad Pro. Do you know of any Apps that might be able to read from your device? Or would I need to write my own? Or, if I downscale my SDI video source to 480p, could I use USB 2.0? Answer: We have not yet tested this iPad. We do have a ‘borrow’ program that would allow you to try any of our converters. This would allow you to determine what works more quickly than we can.